Robin Soderling's abject surrender to Robby Ginepri in the opening round may have been a huge blow for the organisers, but it kept the reputation of the tournament intact. The Chennai Open has, over the years, become a graveyard for the big ticket players. In the 14 years that the event has been played in Chennai, the tournament's biggest draw cards have had to endure the ignominy of an early exit more often than not. And Soderling, after his straight sets defeat at the hands of the American, is the latest addition to the list. The 25-year-old Swede came to Chennai riding on a reputation, mostly earned in the past six to seven months. The form book suggested he would walk away with the trophy and everything went according to the script to begin with. A top billing in the weakest of the three tournaments this week, a favourable draw, huge hype surrounding him, an unconditional fan support, including a small contingent that had come all the way from Sweden, and an opening round opponent who was well past his prime. However, all these factors couldn't ensure Soderling even a first round win, let alone the tournament. As the Swede heads to the airport to catch the next flight to Australia, rediff.com analyses the biggest upsets in the Chennai Open history. The Dutchman was a big name back then, with a bigger game to boast. 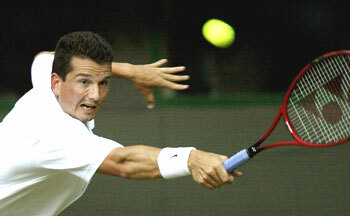 Krajicek was the reigning Wimbledon champion and the World No 6 when he landed up at the Chennai Open. An unexpected triumph at the All England Championships the previous year -- beating former champions Michael Stich and Pete Sampras en route -- meant he arrived in Chennai with an inflated reputation and huge expectations. A comprehensive opening round win over Swede Tomas Nydahl had the fans asking for more. But Andrei Pavel, his second round opponent, bothered neither about the Dutchman's reputation nor his big name. The end result was a 7-5, 6-3 win for the Romanian and an early exit for Krajicek, much to the disappointment of the fans. 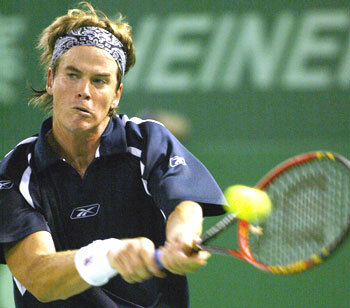 The same year Swede Thomas Enqvist, the defending champion and the World No 7, made an opening round exit as well. 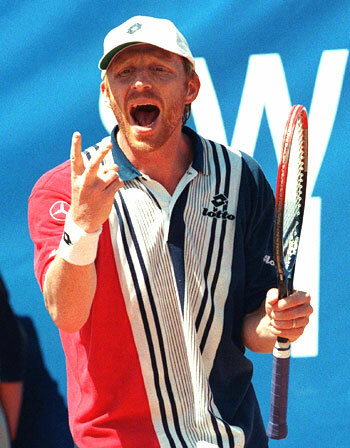 Some of you might argue Boris Becker was past his prime when he played at the Chennai Open. And we won't argue on that count. However, considering the nature of the draw, and the German's reputation, he was at least capable of making it to the latter round, if not win the tournament. However, Becker departed early, blaming the weather for his exit. The German, seeded four that year, started well with a straight sets win over Vladimir Voltchkov of Belarus in the opening round but soon ran out of steam. A second round defeat to Gerard Solves meant the Becker mania ended in Chennai sooner than it had started. The fans were particularly disappointed because had Becker won, he would have faced India's Leander Paes in the last eight. However, it was not to be. We haven't heard of Solves since. But how many remember Peter Doohan -- the guy who beat two-time defending champion Becker in the second round at Wimbledon in 1987? The Russian came in to the Chennai Open as the reigning Australian Open champion -- the tournament was advanced to January from April that year. 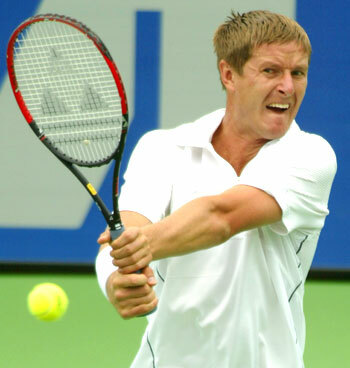 Kafelnikov also happened to be the world's fifth-ranked player and a former French Open winner as well. But all the reputation went for a toss when he faced an unheralded Michal Tabara in the opening round, the latter scoring a comprehensive 6-4, 6-2 win and ensuring Kafelnikov's exit with four rounds still remaining. The Czech would go on to lose in the next round that year and comeback for a surprise title win in the next. However, the Russian never returned to Chennai. He is guy better known as Robin Soderling's coach these days. Back then, he was the World No 4 and a player whose talent was backed by consistent performances -- the Swede had won five titles apiece in both 1999 and 2000. Besides, Norman had reached his maiden Grand Slam final -- at the French Open -- in 2000 and was seen as a future major champion. However, the Swede's reputation meant nothing for Taylor Dent, his opening round opponent. The American's father, Phil Dent, had been an Australian Open finalist in 1974 -- beating Bjorn Borg en route, the only occasion that the legendary Swede played Down Under -- and his son knew what it takes to upset a big name. Dent executed his plans to perfection, scoring a straight sets win (6-3, 7-6). As regards Norman, he would reach the final in Sydney the next week. However, a spate of injuries ensured his career went on a downward spiral from then on. The Argentine, a former Wimbledon finalist (2002), is better known in the circuit as one of the few players with a comparable head-to-head record against Roger Federer. 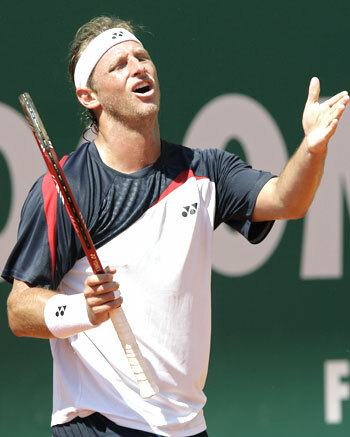 Nalbandian had won the ATP Tour World Championships in 2005 beating the Swiss in a marathon five-setter and came to Chennai having led his country to a maiden Davis Cup final. However, in Kristian Pless, he found an opponent who was willing to go full throttle. The Dane upset Nalbandian, seeded second that year, 2-6, 6-3, 7-5 in the opener to ensure another early big ticket exit from Chennai. The Russian came to Chennai with considerable results to back up his stature as a player. Amongst his achievements included 14 ATP titles, four major semi-final appearances, a final showing at the 2008 ATP Masters Cup and a win over the rampaging Rafael Nadal in the Miami Masters final. 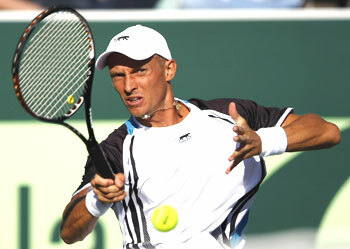 Davydenko didn't have to break much sweat in his opening round win over Austrian Daniel Koellerer. But he was undone in the second round by a recurring injury and Lukas Dlouhy -- Leander Paes's doubles partner -- got a walkover with the Russian being forced to pull out. Considering the manner in which Davydenko finished the year -- with the ATP Masters Cup win to go with four other titles -- the organisers in Chennai had enough reason to be disappointed.